"Maribell" consists of four buildings, "Maribell sjøbu" including apartment, equipment- and store rooms etc. and three shoreline cabins with apartments, Lyngøy - Risøy - Sandøy. This is a 200 square meters building over two floors. The apartment located on the top floor is 100 square meters. The house was built in 2004. The apartment has a large living room with TV lounge, kitchen equipped with oven, dishwasher, refrigerator, microwave oven and other equipment necessary for the making of food. There is television with satellite receiver, radio and DVD player. There are three bedrooms, one with two single beds and loft for extra sleeping space, and two bedrooms with two single beds each. The bathroom has shower, toilet and sink. In addition there is another room with toilet. The ground floor has room for preparing of fish, a bathroom with sink, shower and toilet. Here we have set up big freezers for storing fish and a washing machine. There is a large room with space to store fishing gear and other equipment and you can set up dining tables with space for up to 25 people for gatherings! Outside there is a 10 square meters barbecue hut that can accommodate up to 15 people, a large terrace with picnic tables and benches for outdoor grilling and for other activities. 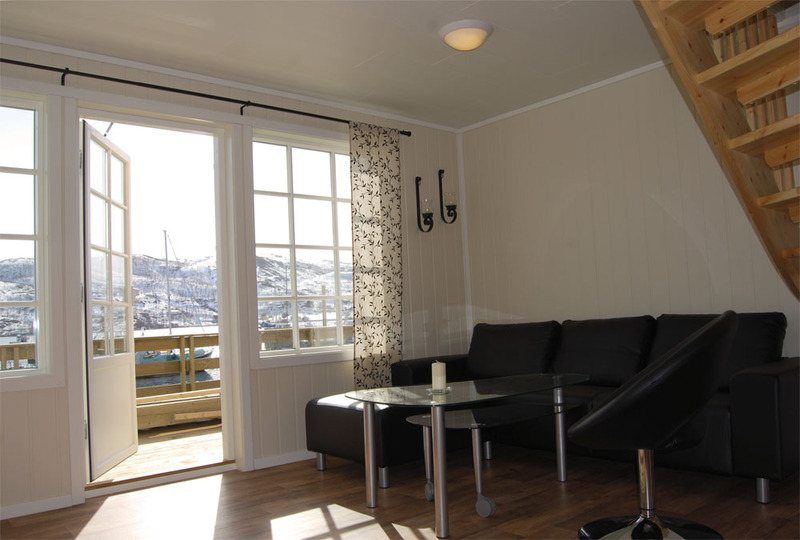 There are three cabins, Lyngøy - Risøy - Sandøy, two are in use, the last is ready from 2012. They are all identical, 50 square meters over two floors. The cabins were built in 2011. On the ground floor there is living room with TV lounge, kitchen, dining area and bathroom. The kitchen is equipped with a oven, fridge-freezer, dishwasher, microwave and other equipment necessary for making food. There is television with satellite receiver, radio and DVD player. The bathroom has a sink, toilet and shower. The loft has two bedrooms with two beds each. From the living room there is direct entrance to the large quay terrace. Here are picnic tables with chairs and a barbecue grill. Here are also a station for the preparation of fish etc. 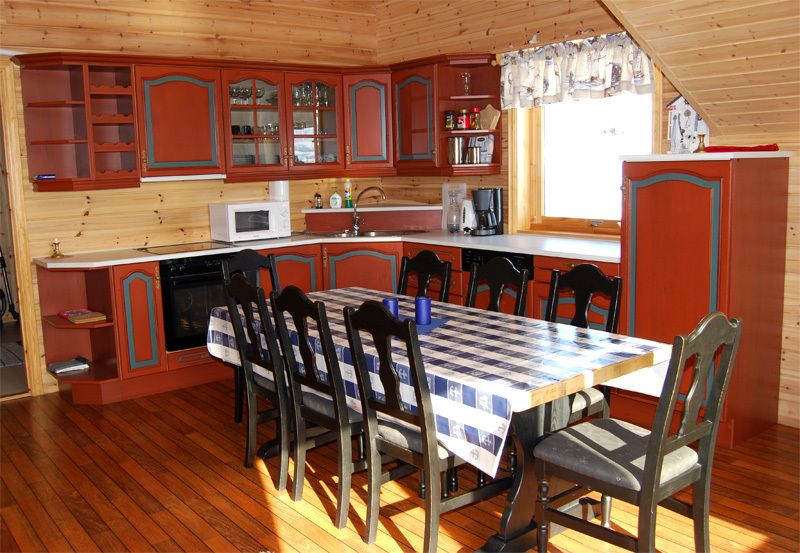 Each cabin have their own large freezer and communal washing machine in the basement of "Maribell sjøbu".